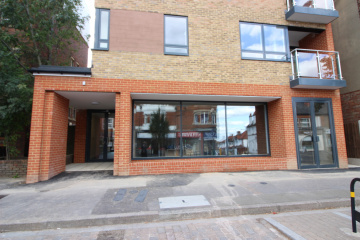 Connor Prince are pleased to offer this brand new shop premises approximately 21'6 x 20'1 ideal for office use. Situated at the top end of Central Road with adjacent limited time parking bays. Nearby national retailers include Sainsbury's Local, Pizza Express, Café Nero's, Superdrug, Poundland and Waitrose. Worcester Park railway station is within easy walking distance and the A3 roadway is within 2 miles which connects you to London the M25, Heathrow Airport and Surrey countyside. LEASE	A brand new lease with terms and conditions to be agreed. MEASUREMENTS	21'6 x 20'1 plus small kitchenette and separate W.C.